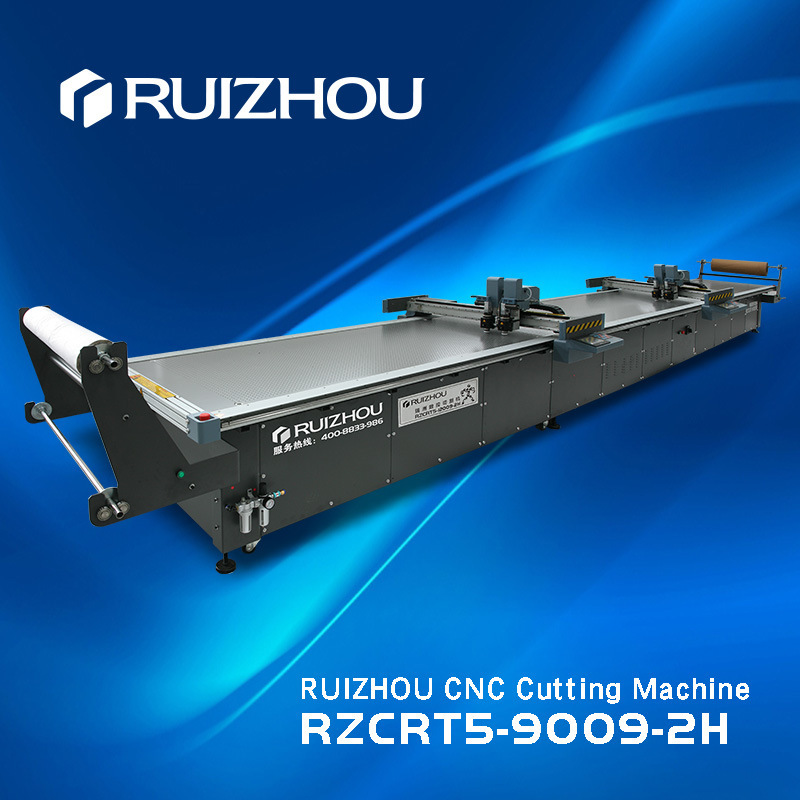 RUIZHOU CNCÂ Cutting Machines are uauslly applied in different kinds of soft materialsÂ cutting. 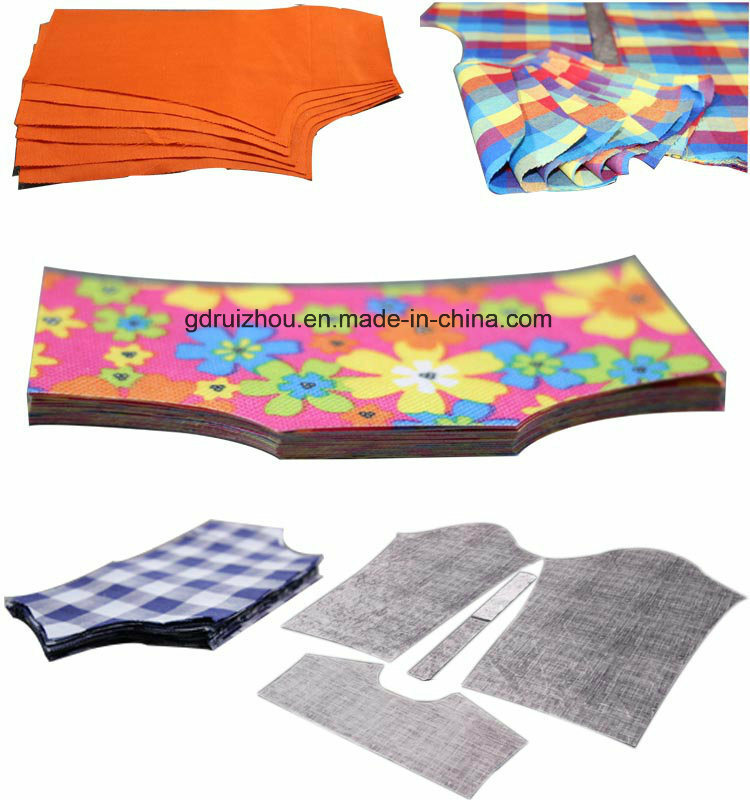 It can cutÂ grey board, corrugated paper, honeycomb board, chipboardÂ fiberÂ board and KT board,Â cloth, fabric, Car mats,Â foam and composites materials(glass fiber, carbon fiber). 1. Knife cutting, not by laser. So it causes no burning to the materials. No smell. 2. Accurate. oscillating knife, CNC computer control and servo motor, especially Ruizhou independent developed system enssure good cutting quality. 3.Â Saving. 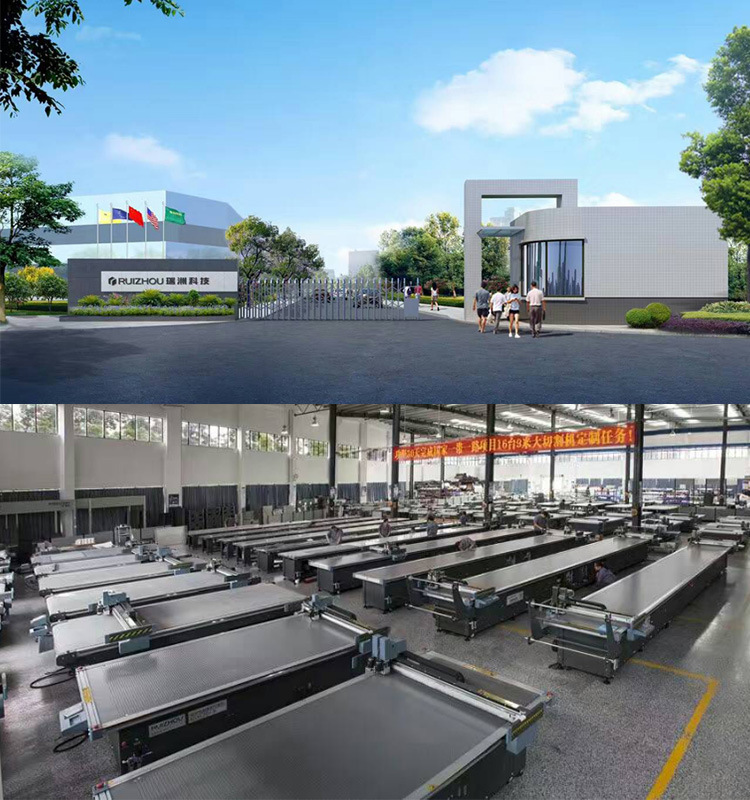 With Ruizhou automatic Nesting system, the material utilization can be improved by 5%. 4. Convenient. Both flatbed table andÂ auto conveyor table are optional. With auto feeding system, the convenience and efficiency improves a lot. Â It is more fast an low noise. 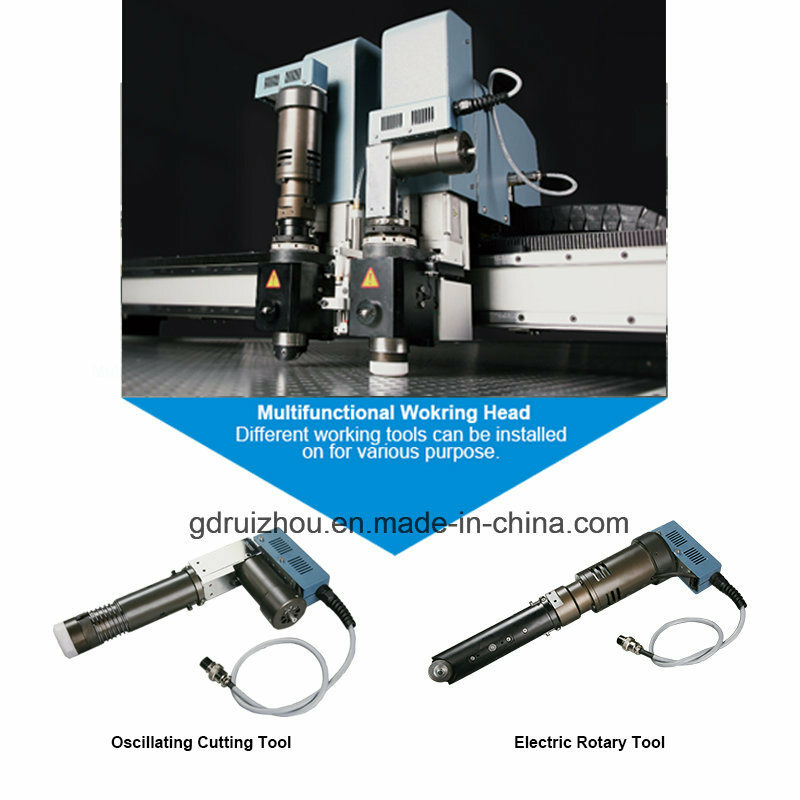 To make the stability and operability of pattern cutting machine reachs world-class level. Self-developed built-in CNC control system Full intellectual property rights of this system canÂ ensureÂ constantÂ upgrade on this control system. 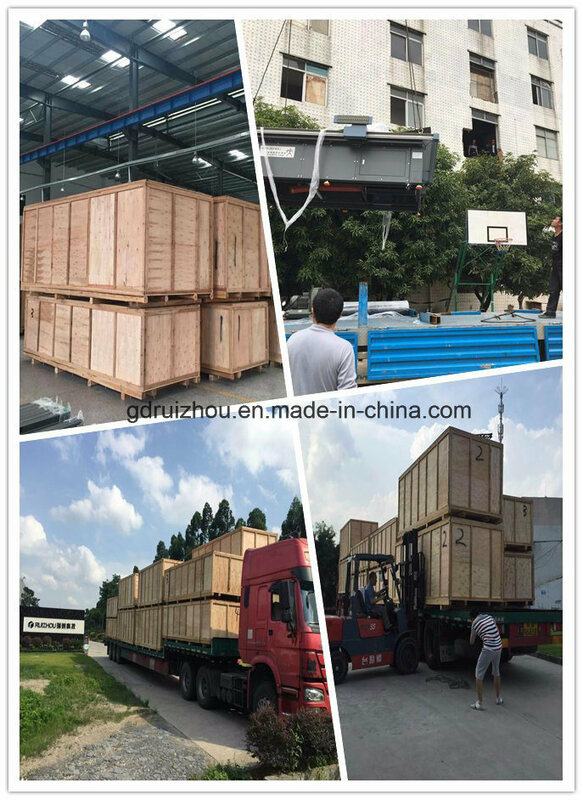 mported linear guide rail & famous driving motors Ensuring fast cutting speed, smooth cutting process, high accurate and the repeatability of cutting result can reach down to zero error.